Bruised, battered and exhausted. Adam Farrell, Director of Fine & Country Brighton and Hove survived the Tough Mudder obstacle course on Sunday 30th September. Adam and hundreds of competitors took part in the 10 mile challenge with more than 20 obstacles. However, in the lead up to the day, Adam was recovering from a viral chest infection and was close to pulling out. Despite having not trained for the three weeks prior to the event, Adam made it to the finish line. The cool and damp day left Adam’s limbs seizing up towards the end of the race, but not before he conquered his favourite and most challenging obstacle: the Funk Monkey. This set of swinging monkey bars requires focus, timing, arm strength and core stability. The obstacle hangs over a muddy pit, as many participants experienced. Adam’s least favourite obstacle however, was The Arctic Enema. Participants slid down a dark pipe into a pool of muddy ice water. In order to get out the water, competitors had to first swim under metal fencing which hangs over the water, forcing everyone to once again dunk their heads under the freezing water. 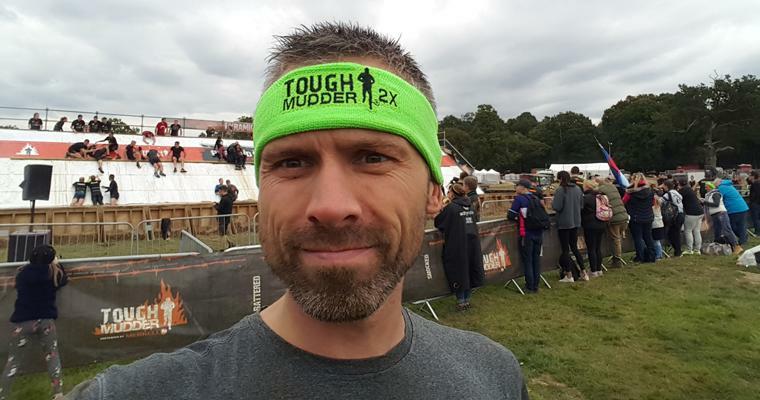 Since taking part in Tough Mudder in 2017, Adam discovered that the organisers have increased the voltage for Electric Shock Therapy. On this obstacle you have to run over uneven muddy ground and through live electric wires that are hanging down from above. “The shocks kept knocking me off my feet and one caught me on the head and I blacked out for a second,” said Adam. Congratulations Adam for completing every muddy, body-bashing obstacle and raising a fantastic £400 for The Clock Tower Sanctuary and Justlife Foundation. These two homeless charities support the most vulnerable people in Brighton and Hove and give them the support and opportunities required to help them get off the streets for good. Thank you to everyone who has supported Adam. There’s still time to donate to The Clock Tower Sanctuary and Justlife Foundation here. For more information about our upcoming events or for help organising your own fundraiser for a homeless charity of your choice, please contact us at foundation@fineandcountry.com or call +44(0) 20 3368 8221.